I will show you how to install m2eclipse plugin in Eclipse IDE. 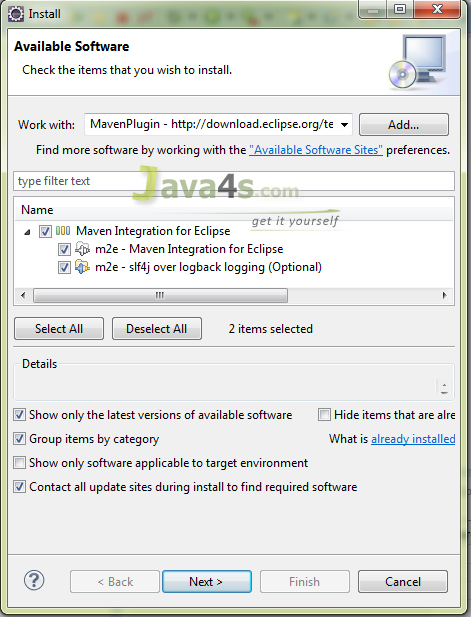 Plugin m2eclipse gives complete support to Apache Maven. 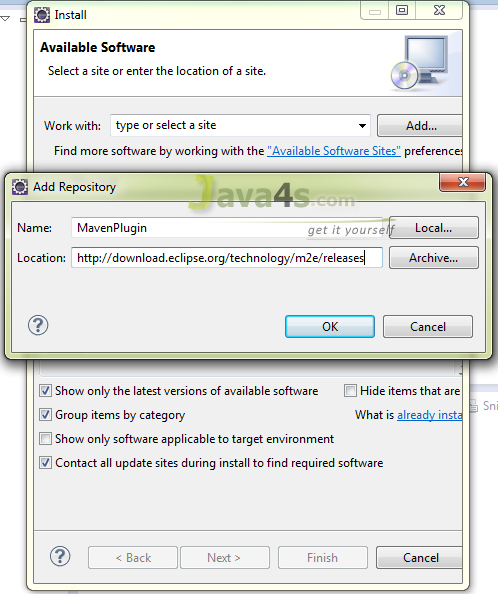 Before installing m2eclipse make sure you have Java SE and Eclipse EE version installed in your system, i have given all my tutorials in Eclipse Juno for Java EE. 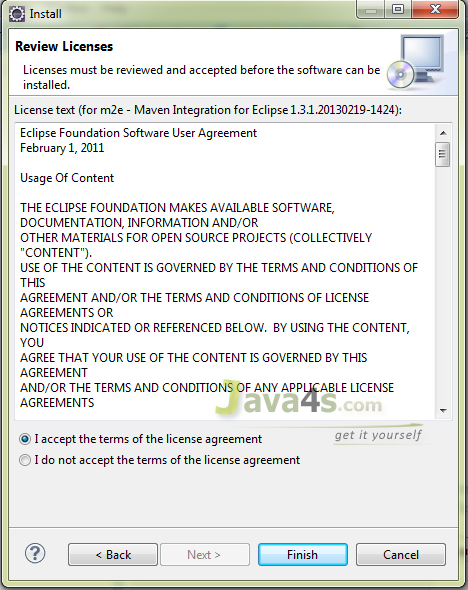 In eclipse > Help > Install New Software..
That’s it, now your eclipse is ready with Maven. how can i create own hash map with out using java api ..
Hello sir I’m using eclipse juno release 2.i am tring to Install Maven ..but it is Showing dependecy not found..is there Any issue with Version of eclipse.? ?